Recently I noticed that one of my websites was displaying a weird image. An Amazon widget was placed on the sidebar, but instead of displaying the usual dynamic content, a static image was displayed saying something like “Let’s Fight Hunger together”. The image is non-clickable, weird eh? So I checked in to my associates interface and tried to retrieve a new set of ad code. Ah, the code URL is different, it looks like Amazon changed the domain name of their ad server. Old domain name is ws.amazon.com, and the new server is ws-na.amazon-adsystem.com. 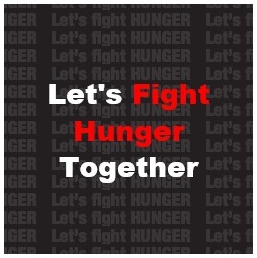 If you are still linked to the old server, a default image “Let’s Fight Hunger together” will be displayed. While checking out for anything new, there is something interesting – a new widget called “Contextual Recommendations”. This widget will automatically feature products that are contextually relevant to the content on your page based on Amazon’s unique content analysis technology. 4 ad sizes to choose from: 300×250, 180×150, 160×600, and 728×90. You can also provide relevance hints by selecting a proper product category, product results from those selected categories are given additional weightage. There might be a chance that there will be no contextual product recommendations available on a page, in that case you can specify Fallback products as well. So if you are still looking for an AdSense alternative, something reputable like Media.net’s Yahoo! Bing Network Contextual Ads, maybe you should try this Amazon’s Contextual Recommendations.